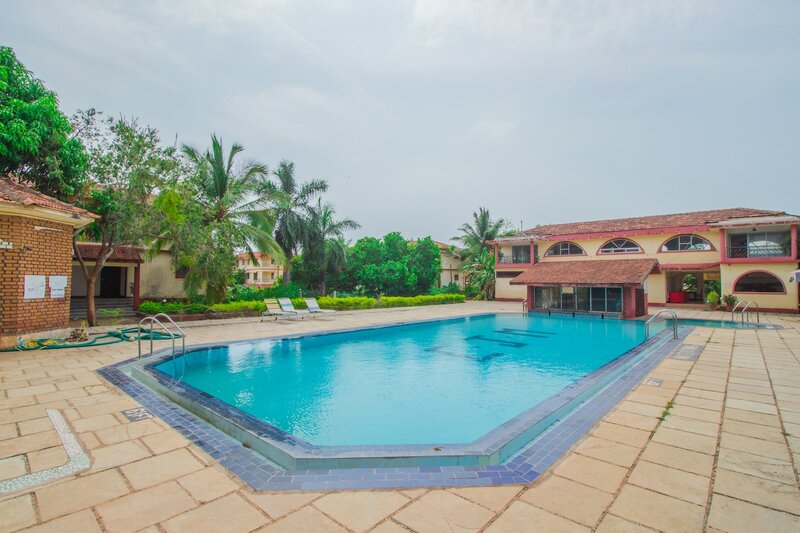 Walk up to the Carmona beach in just 4 minutes from this beautiful, stand-alone, beach-side 1BHK property in the Fatrade, Carmona area of Goa. This property offers swimming pool access to all guests who book. The bright and welcoming house is a treat to the eyes. The house is well furnished with a couch and seating in the hall, neat and clean and has a proper kitchen. The house is surrounded with a lush green garden full of flowers. This property provides kitchen, AC, TV, fridge and CCTV camera-based security. The house is in a gated society.